I told you the numbers didn’t add up and hopefully my suggestion pointed Chris Martenson in the right direction as he has uncovered the game the Fed and Treasury are using to hide their blatant manipulation and money printing. Now we are learning exactly how they are masking over reality… They are using the Primary Dealers (the largest of which are GS and JPM) to bid on and buy Treasury debt and then purchase it back not but five days later in a money creation/laundering scheme designed for what can only be one purpose – to HIDE the fact that they are printing FAR MORE money than the $300 quantitative easing announced by Ben Bernanke. The bid to cover numbers we've seen lately are just preposterous. As Point has been pointing out, when the Primary Dealer bids are removed, the bid to cover ratios are disastrous. 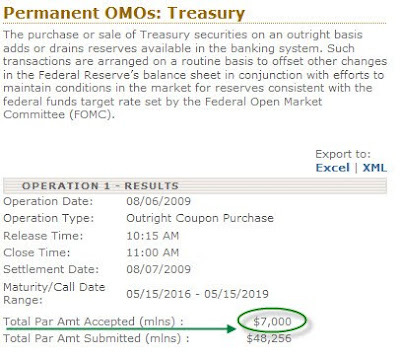 There is DEFINITELY COLLUSION occurring here between the Fed, the Treasury, and the Primary Dealers. Frankly, I HOPE the Chinese and other holders of our debt immediately end all buying activities from the Treasury. No, I’m not anti-American, I’m PRO-American and want the ruinous activities of the rogue central banks to stop destroying and bankrupting our country. I want the lies and manipulation to end, and I want a return to fiscal sanity! Here’s the meat of Chris’s important article – great detective work Chris! Here's a recent example illustrating that the Fed's actions are more consistent with financial desperation than economic health. 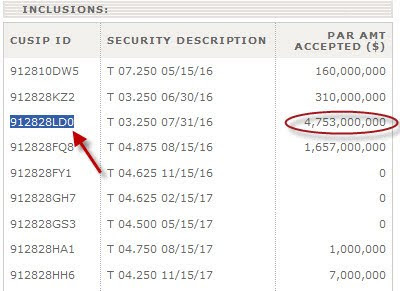 In concert with the claims I made in the prior Martenson Insider post, The Fed bought $7 billion in Treasuries today and even more yesterday. 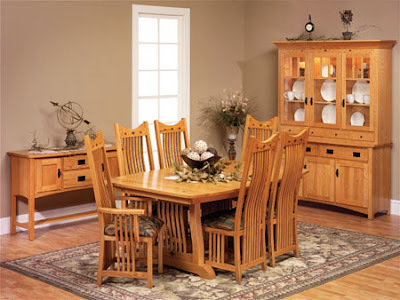 This is at the upper end of their recent range of already exceptional purchasing activity. If things are so rosy that every single dip is being bought in the stock market with a vengeance, I wonder why these printing operations are really necessary? This $14 billion plus buying activity by the Fed represents fresh money created out of this air that was exchanged for the sovereign debt of the US. However, since the Fed has, for all practical purposes, never undone its permanent operations (hey, that's why they are called "POMOs") we can consider these additions of money as good as permanent themselves. Looking at the maturity range we can see that these are all long-dated bonds with the one today specifically offering us a tantalizing clue as to how the shell game is being played. 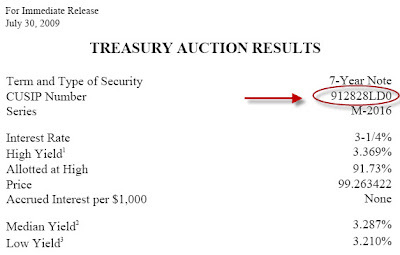 Here's the Treasury announcement for the 7-year auction that came out on July 30 (last Thursday). Please note the specific CUSIP number circled. Every bond in this auction carries this specific identifying number. They didn't even wait a full week! A more honest and open approach would have been for the Fed to simply buy them outright at the auction but this way, using "primary dealers" and "POMOs" and all these other extra steps the basic fact that the Fed is openly monetizing US government debt is effectively hidden from a not-too-terribly inquisitive US press and public. The speed of the shell game is accelerating. This immediate repurchase of newly auction bonds by the Fed tells us that demand for these bonds is not nearly as high as advertised, and that things are not quite as strong as represented. “The speed of the shell game is accelerating” is exactly correct. These people belong in PRISON not running the most powerful country on the planet. Remember the RULE OF LAW? When the rule of law is not adhered to capital will flee. While it’s fleeing already, I suggest that everyone get ready because once this little operation becomes perfectly clear, the green shoots rally will be exposed for exactly what it is – a money printing/laundering cover up of a desperate bankrupt nation looking to keep their debt game alive. Jim Kunstler - "Hunky Dory"